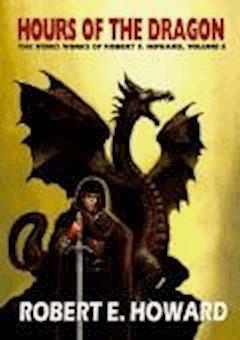 The Hour of the Dragon, also known as Conan the Conqueror, is a 1935 fantasy novel written by Robert E. Howard featuring his seminal sword and sorcery hero Conan the Cimmerian. It was the last Conan story published before Howard's suicide although not the last to be written. The plot is a loosely based melange of motifs from previous Conan short stories, most notably "The Scarlet Citadel", with which it shares an almost identical storyline. It takes place when Conan is about forty-five, during his reign as King of Aquilonia, and follows a plot by a group of conspirators to depose him in favor of Valerius, heir to Conan's predecessor Numedides, whom he had slain to gain the throne.